Are you ready to smell the sea, feel the breeze, hear the ocean, while you drive through the heart of the medieval Porto? 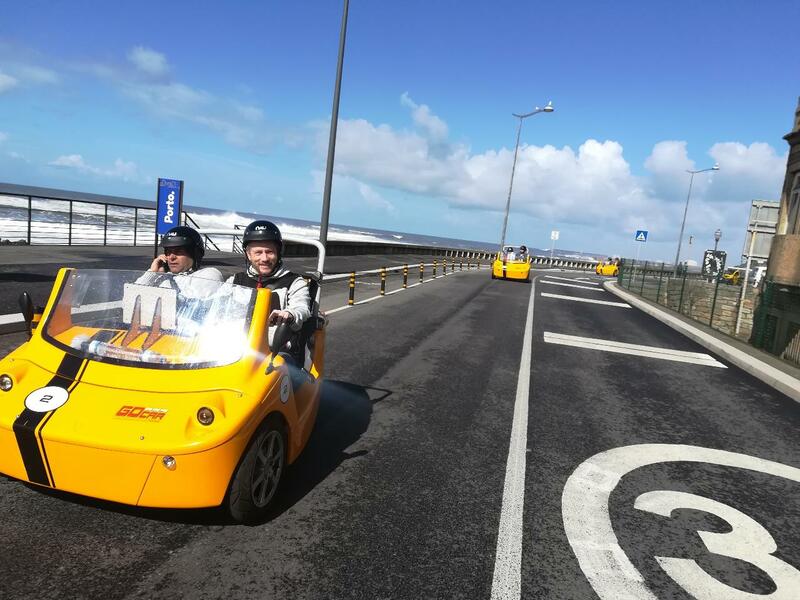 The GoCar will first take you through some of the most emblematic places in Porto, followed by an exciting tour through the Avenue of Boavista, the longest in Porto, and finishing with a relaxing ride on Porto’s seafront. Above is only a suggested route. Your tour’s length may vary due to circumstances such as departure time and location, traffic and your itinerary. If you do take additional rental time, this will be billed in 15-minute increments at our retail rates. You may visit all or some the tour’s highlights. If you are unsure of which tour to book, just book according to the amount of time you think you’d like to spend. We can customize a tour especially for you, with the sights you want to include, when you come into our shop.